Non medicinal ingredient: organic 50% alcohol. Do not use if pregnant, breastfeeding, have kidney disorders, gastrointestinal inflammation or ulceration. Do not take with drugs. Consult a health care practitioner if symptoms persist or for a use longer than 7 days. 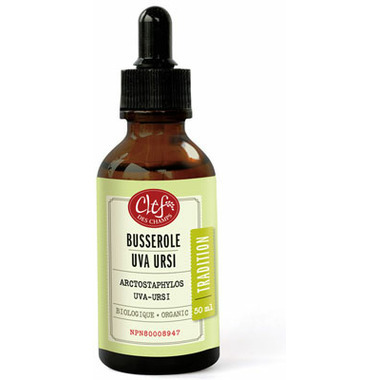 Uva Ursi is great to treat urinary tract infections, it is natural urinary antiseptic. I am very glad I found this tincture here.